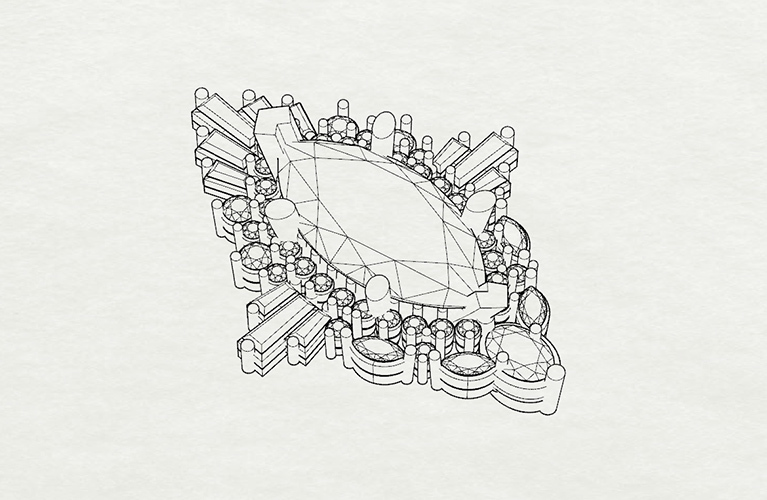 Start drawing—or work with our sketch artists—to put your ideas to paper. Then, we’ll help perfect the design. Bo started this process with two completely different inspiration images. He did not have a concrete vision of a completed piece, but he knew generally what the ring needed. 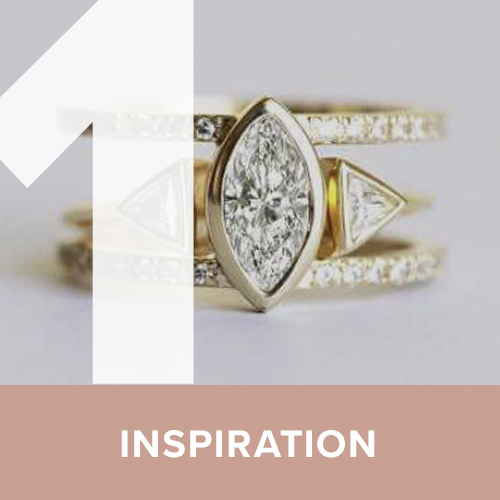 Creating an asymmetrical halo based on an heirloom piece narrowed the possibilities for design quickly. 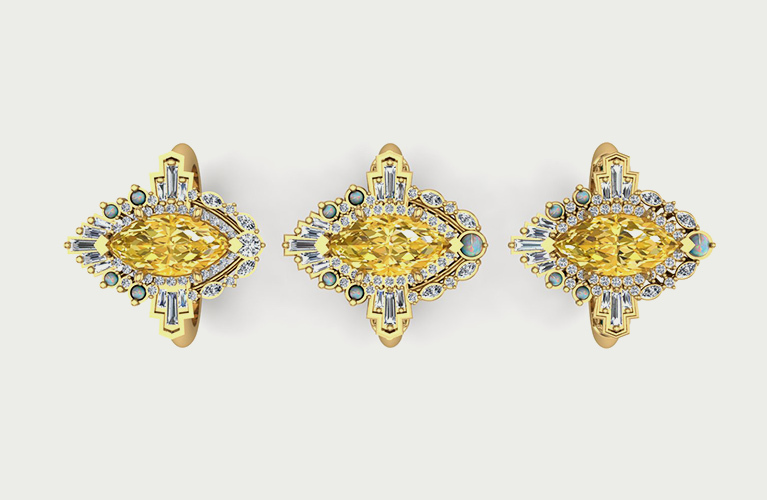 Incorporating the Marquise cut center stone and bezel settings helped focus the initial sketches into a clearer vision. 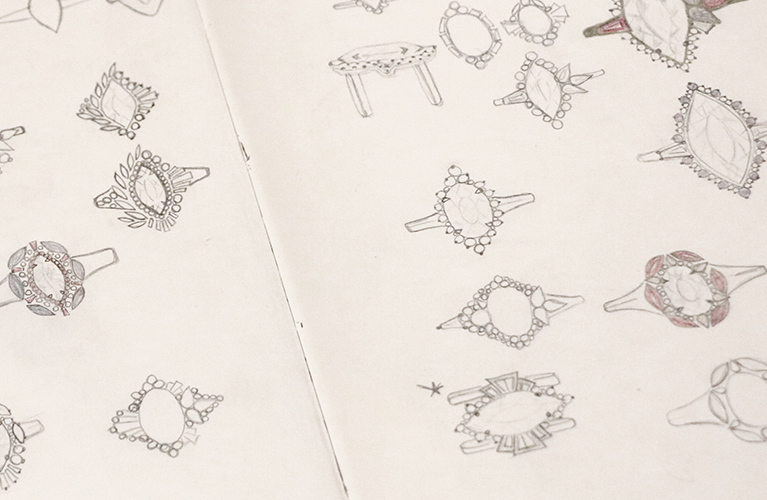 The sketch artist used the images and overall direction to sketch loose designs to help put a visual to Bo’s vision. He was able to narrow it down from there based on what he liked and didn’t like in the sketches. Initial designs showed that parts of the halo would stick out and could catch on things. Maria is a makeup artist and needed a ring that would allow her to live her life without interference. This meant sitting low to her finger with no edges that would be likely to catch. 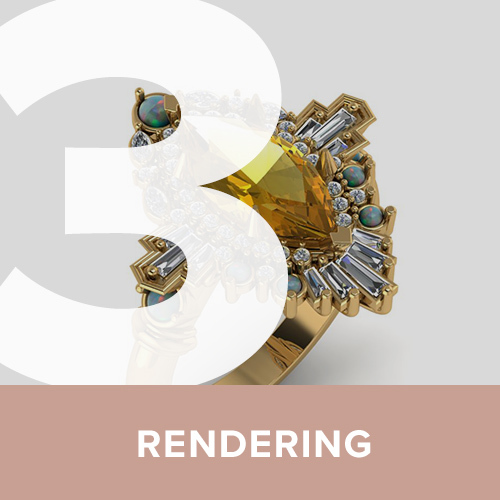 Adding extra metalwork, rounded prongs and faux bezels addressed this and ensured the ring would be comfortable. Because these are very specific requirements, this was a big help in focusing the design. Opals are beautiful but quite soft. It’s important to protect them in the setting to reduce the likelihood of chipping or scratching. Once the ring was designed, the designer strategically placed opals in the areas that offered the most protection. Conveniently, Bo wanted bezels and faux bezels so this was an easy last addition that fit in with the overall design. 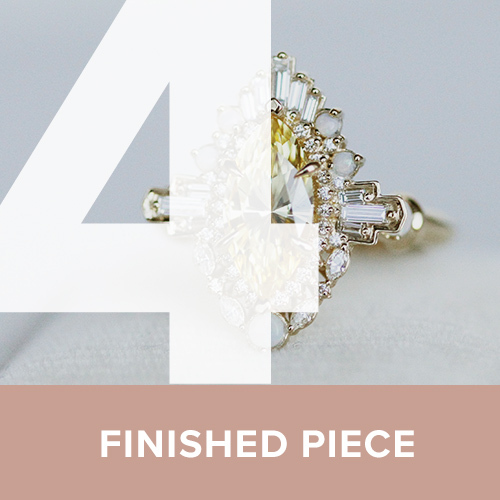 The finished ring is a work of art that combines the need for a durable piece with ornate vintage influences. It is true to the heirloom piece, while still standing as its own design. Want to see the surprise proposal? 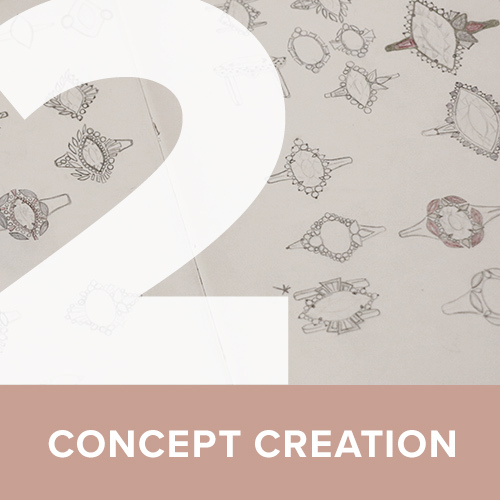 Check out Maria & Bo’s Design Story.